As I write this, I’m traveling back from an industry meeting that my company sponsors. 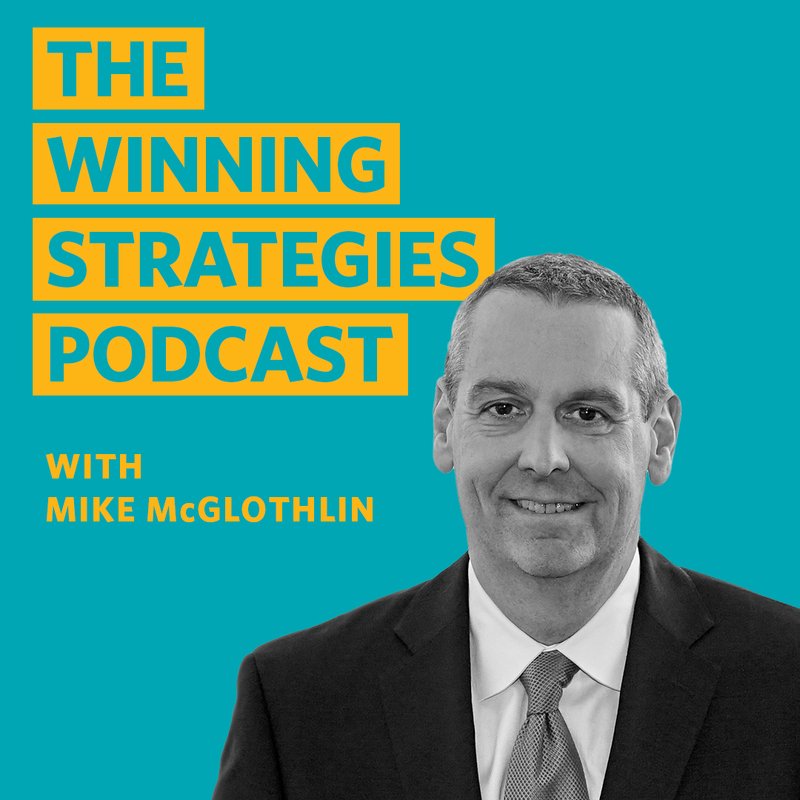 Being a numbers guy, I always enjoy hearing how the year unfolded, best practices in technology, and where sales increased and to what degree. However, one of the disturbing trends that I noticed is our industry’s lack of focus on the best benefit of annuities: income. In 2017, the industry lost $30 billion in sales that involved income, according to LIMRA. That trend continued in 2018. Economic conditions are the most likely reason for the continued shift. After all, clients have looked for safer places to place their retirement savings with the recent volatility in the fourth quarter of 2018. Basically, it’s been easy to sell annuities without the complexity of an income rider or loss of control due to the use of SPIAs or DIAs. We tend to sell what clients want, not what they need. Ultimately, we have to work in conjunction with our clients’ goals but, too often, it feels like we may not be hitting the true need when we complete a transaction that doesn’t involve an income discussion. Asset protection is an important function in today’s market conditions. Don’t get me wrong … annuities provide value to many portfolios with interest rates increasing, market fluctuations, and tax-deferred growth on nonqualified assets. However, the biggest lift that annuities provide is the opportunity for lifetime income. Longevity affects so many other risks during retirement. The ability to shift this single risk to an insurer greatly enhances the probability of success in retirement. Sequence-of-return risk remains a variable that no one can predict. The timing of a correction – in a modest or full bear market – can make as much as a 13-year difference in how long a client’s assets last. Without guaranteed income in place, an ill-timed downturn may affect the lifestyles of Americans who are depending on systematic withdrawals. Strategies that maximize Social Security and guaranteed income options can provide stress relief on the portfolio. At the end of the day, failure of a portfolio with guaranteed income is not catastrophic. Portfolios without guaranteed income will be force into a different lifestyle. With guaranteed income, failure is not catastrophic. Change your focus and talk to your clients about holistic income planning. I’ve traveled over 40 weeks this year, visiting our advisors and speaking at conferences. As I sit in the Atlanta airport on a layover, I see people playing video games and watching videos. By their reactions of smiling and laughing, what they’re watching isn’t likely educational or business-related. But, these same people will likely complain to their co-workers about not having enough time to get things done. If you want to boost your productivity, you have to evaluate your time management skills. When I was a student manager, in a typical two to three-hour basketball practice, there were no wasted minutes. Coach Knight mapped out the entire practice, drill after drill. He set the tone for each session by addressing the team in the locker room and telling them what they’d be focused on. He might be paying attention to the angle of the cuts or the position of screens. Each day was unique based on the current state of the team’s development. Think about mapping your day in a similar fashion. Time blocking can be an effective tool to create an environment of focus. I color code my calendar to make sure I’m paying attention to all the things I need to do in order to run a business. Time is devoted to sales skill development, advisor and key account interaction and internal meetings, among other required activities. To build a successful business, you must focus your energy. Every part of your business needs your undivided attention … but not all at once. Additionally, you need time to relax and be with family. Unfortunately, for busy professionals, that time gets lost and ultimately needs to be scheduled – just like a client appointment. Sometimes that feels like a stigma, but the fact you are devoting time for yourself and family is just as important as working in your business. And, I’m as guilty of that as anyone. Focus your attention on revenue-generating activities. Schedule those things that are most impactful to reach your goals. 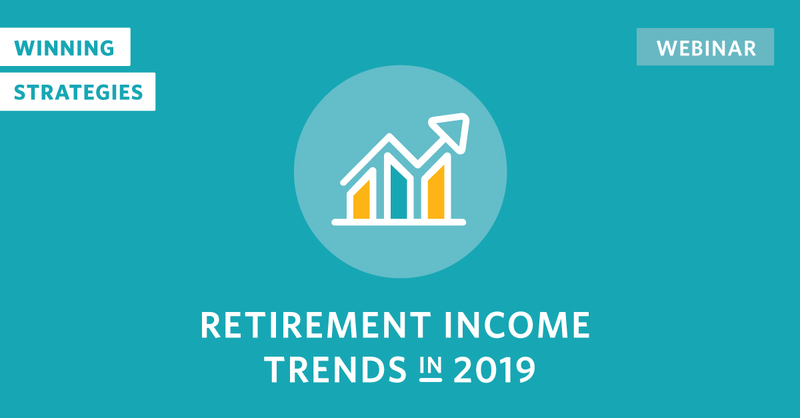 In 2019, retirement income planning will be more important than ever. Join us January 17 to explore the forces behind the trends that will shape and grow your business for the future. By now, you’ve heard that we’re seeing the largest shift in the workforce with 10,000 Americans retiring every day over the next decade (and longer). However, that number has been around for several years – since the first baby boomer reached retirement age. Hopefully, you’ve been changing the way you interact with clients for some time. Income is the new outcome for those retiring. It’s no longer about saving and investing – it’s about making sure those assets last for the rest of our lives. More importantly, the shifts in our demographics should force us to rethink how we deliver value to our future clients. The higher percentage of older Americans will add pressure to an already stretched entitlement and benefit system. We must recognize that our future state is unlikely to remain static as it will not be able to sustain itself indefinitely. Planning adjustments are prudent, especially for younger clients and beneficiaries. Our industry will have to adapt to cultural changes more than we have in the past. Those cultural differences will create new planning challenges as we see some cultures (and generations) lack the trust to care for loved ones, live in multi-family settings, and take pride in caring for the elderly themselves. Supporting the retiree plus those caregivers is a paradigm shift that we are just starting to feel. At the opposite end of the spectrum is the fact that more women are living alone. It’s less about living longer than their male counterparts. Instead, the divorce rate has climbed in conjunction with living longer. When you care for yourself, the need for long-term care will only escalate, regardless of males or females outliving their counterparts. Finally, our over age 65 population is getting smarter. Many of the baby boomers have attained advanced degrees. With technology, they have access to unlimited information via the internet and they know the right questions to ask in many situations. As a financial professional, your role should be more of guide as opposed to salesman. The currency of the future is education and information, not product sales. Our industry needs to rethink how we sell to this more educated group while delivering the value they need. There is no doubt that the makeup of the United States is changing. We have to think about how our practices are going to adapt to the changing demographics. Otherwise, we will get left behind by wave. And, the size of the wave is enormous. Think about what your business needs to look like in 10 years. Examine what the details are telling us and make a plan to serve the future of America.